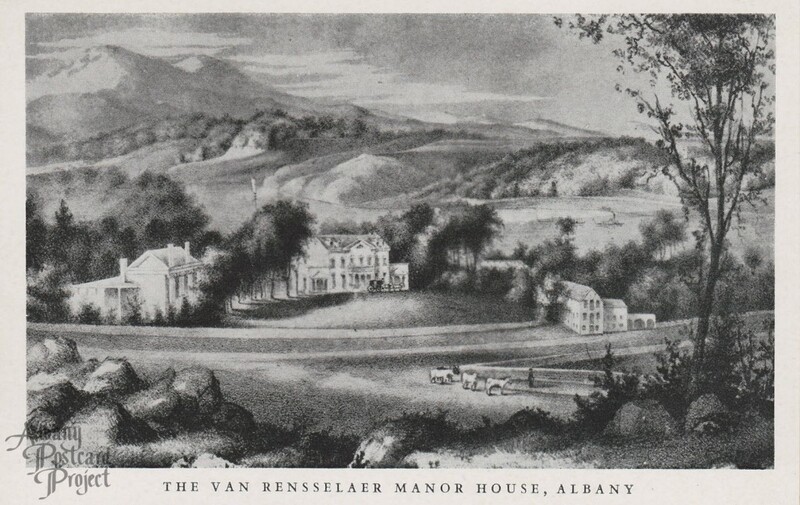 Postcard Notes: Built by Patroon Stephen Van Rensselaer in 1765 with the Hudson River and Mount Ida in the background. The Manor House was taken down in 1893. It stood north of the city just off present Broadway near the junction of Loudonville Road. Now it stands in original form at Williams College.